George Gordon Byron, 6th Baron Byron (1788-1824), Poet. Sitter in 36 portraits. 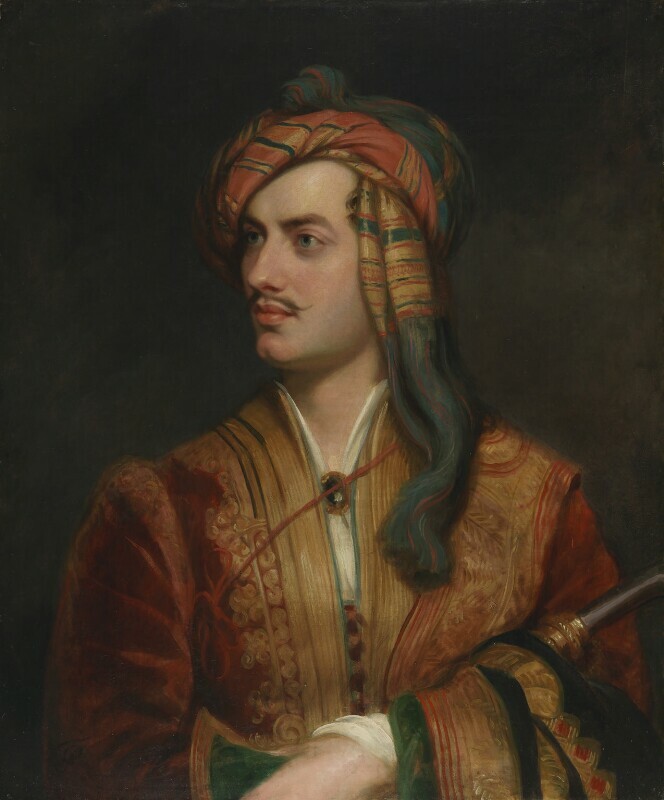 Byron sat to Phillips in 1813 wearing the Albanian costume which he had bought four years earlier; the costume is now at Bowood in Wiltshire. The finished portrait met with a mixed reception but the essayist and poet Leigh Hunt thought it 'by far the best that has appeared; I mean the best of him at his best time of life, and the most like him in features as well as expression'. This version was painted in about 1835.